The chemical industry is currently facing major changes. Sourcing is a driver for mastering change by providing competitive advantages. For being successful, sourcing teams need to develop and mature strategic capabilities which are eventually monetized. Today, growing competition and cost pressure are two major challenges in the chemical industry. In parallel, business requirements become more complex due to shorter innovation cycles and the growing role of digital business models. But not only the nature of the chemical industry changes, also chemical sourcing markets have changed in recent years. Combined, these challenges raise the need for change in chemical companies, to ensure successful business continuation. In this environment, chemical companies require strong strategic sourcing teams as value contributor and driver of change. Chemical raw material sourcing is complex. In recent years, sourcing markets for base chemicals became more and more global. Global sourcing markets open new opportunities but are accompanied by challenges which require professional handling. First, prices for various raw materials are highly volatile and thus timing of buying decisions is critical. Second, import duties and exchange rates have a strong impact on the attractiveness of supply markets and require continuous monitoring. Third, new sourcing markets such as the US or China have evolved and require thorough market research to identify appropriate suppliers. For managing these challenges professionally, sourcing requires strong analytical and strategic skills combined with the understanding of leading concepts and methodologies as decision frameworks. To prepare chemical sourcing teams for strategic decision-making a solid framework and structured approach is required. Strategic sourcing demands business understanding and spend transparency as core pillars. Once these pillars are established, the strategic relevance of sourcing categories can be assessed, to subsequently develop suitable sourcing strategies. Strategic tools such as total cost of ownership analysis and best cost country sourcing support the strategy development process. However, formulating a strategy is not the endpoint, successful strategy execution is key. For strategy execution, the selection of the suitable tendering mode is key to success. Strategic sourcing teams in chemistry need to understand when to apply automated tenders, competitive bidding or collaborative approaches. To master these skills and to deliver timely results, chemical companies require more agile sourcing teams. These teams shall be able to leverage opportunities of global sourcing markets, even if they occur on short notice. Globalized markets for commodities increase competition between producers at the cost of margins. Sourcing teams have the unparalleled opportunity to provide competitive advantages through market timing and industry-leading procurement performance. 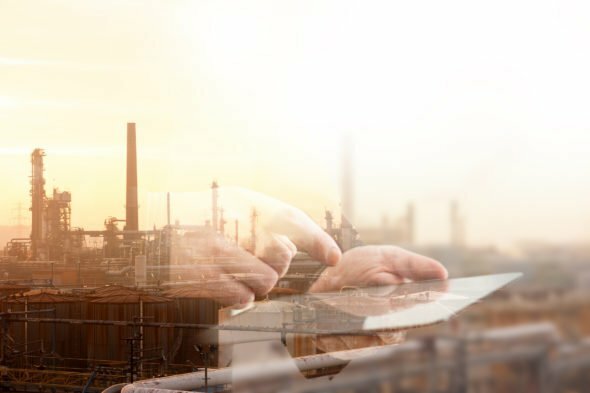 Adapting a business case driven mindset will help sourcing teams to become an active driver of change in the chemical industry. When developing strategic sourcing, a project-based environment is usually beneficial. An external view helps to step out of day-to-day operations and provides an unbiased view on your strengths and weaknesses. Furthermore, external advisors help you to become familiar with standard concepts and methodologies of strategy development and strategic sourcing. We accompany and train our clients professionally on the job to ensure the success of our projects and achieve actual savings. If you want to get deeper insights on how to mature strategic sourcing, we recommend to download our latest White Paper “Strategic Sourcing with Foresight”.